Close proximity to the Metro, lists of restaurants and within walking distance to popular areas. I liked the fact that all was very close by including the metro. Also the apartment set up was nice and cozy and there was adequate heating during the cold weather, the kitchen was fully equipped so that was really nice. We were treated very nice upon the arrival and the owner (I can't remember his name) was very friendly. The location of the building is A.M.A.Z.I.N.G (2 min away from Sagrada Familia and the metro station). Overall I think that because of the perfect position I can get past the incredibly small bathroom and the noisy building. The living room was pretty comfy and the kitchen well equipped (microwave, coffee, sugar, coffee maker). If you don't want to spend a lot of time indoors and you are traveling on a budget - and you want to be as close as possible to the main attractions, I would recommend it. The host was very friendly and allowed us to check-in early, gave us a few indications and a map to the city. The apartment was fairly equiped. The kitchen seemed well equiped although we didn't use it. The hot water never run out with two people using it for an hour. The apartment is literally steps from the Sagrada Familia! Lots of restaurants and very close to a metro line. Roomy compared to a hotel. Location was great .Mattew was good and helpful persone .kitchen facility was apropreat.Check out was easy with no wasting my time(keep in mind that it is an apartment without 24/7 reception desk. The view was spectacular from our balcony. Resturants ,stores, taxis, and attractions all within walking distance or a short taxi ride. The Shopping is great. Bought a few Italian purses and shoes. But the location and apartment was well worth it. I would stay again. Marcello was awesome. The location of the apartment was good, with the metro in a short walking distance. The kitchen offered all facilities needed. The host was very nice, explained everything and organized a taxi to bring us to the airport. Location is great. Right across the street from the subway station, which made it very easy to commute. Amenities provided were good for the family. The location was perfect and accessibility to transport was easy. 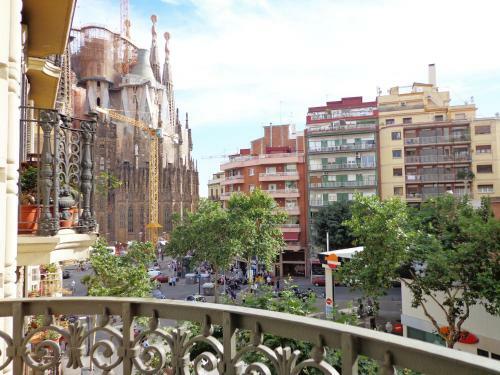 Lock in a great price for Gaudi Sagrada Familia – rated 8 by recent guests! 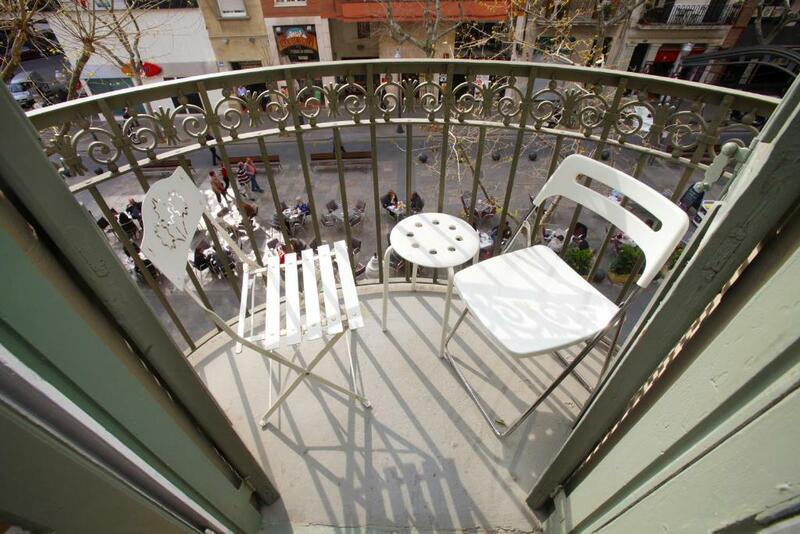 One of our top picks in Barcelona.Just 350 feet from La Sagrada Família, the stylish Gaudi Sagrada Familia apartments feature balconies and free Wi-Fi. They are within a 2-minute walk of Sagrada Familia Metro Station. 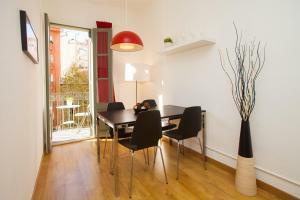 Each Gaudi Sagrada Familia apartment has a living-dining room with a sofa and a flat-screen TV. The kitchen includes a microwave, kettle and coffee maker. Some apartments have an oven. 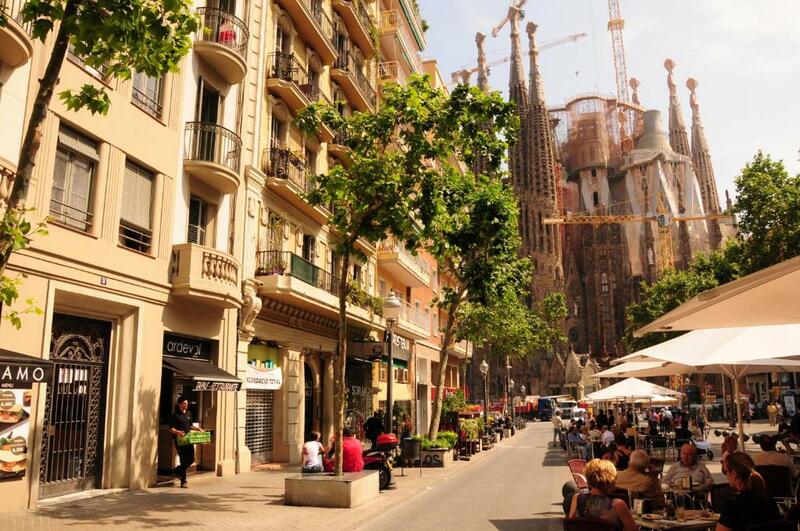 Gaudi Avenue is lined with bars, restaurants and sidewalk cafes. A wide range of supermarkets and fast food restaurants are also within a 5-minute walk of the property. The beautiful Sant Pau Hospital, a UNESCO World Heritage Site, is just under half a mile from Gaudi Sagrada Familia. Buses to the center of the city and the beach stop next to the apartments. Please note that this property offers apartments in different locations around Barcelona, near the Sagrada Familia neighborhood. Check-in takes place directly at your apartment. Please see the individual apartment descriptions for the address and more details. 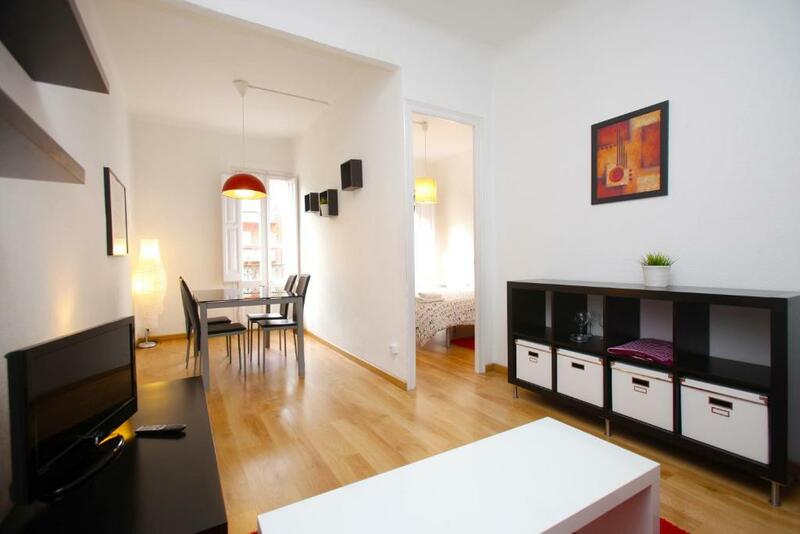 뀐 Located in the top-rated area in Barcelona, this property has an excellent location score of 9.3! When would you like to stay at Gaudi Sagrada Familia? This stylish apartment has a balcony with views of the Sagrada Familia. It features one double bedroom, one twin or single bedroom and a living-dining room with a double sofa bed and a flat-screen TV. The kitchen includes an oven, microwave and coffee maker. Free Wi-Fi is also provided. Please specify your bed-type preference when booking. 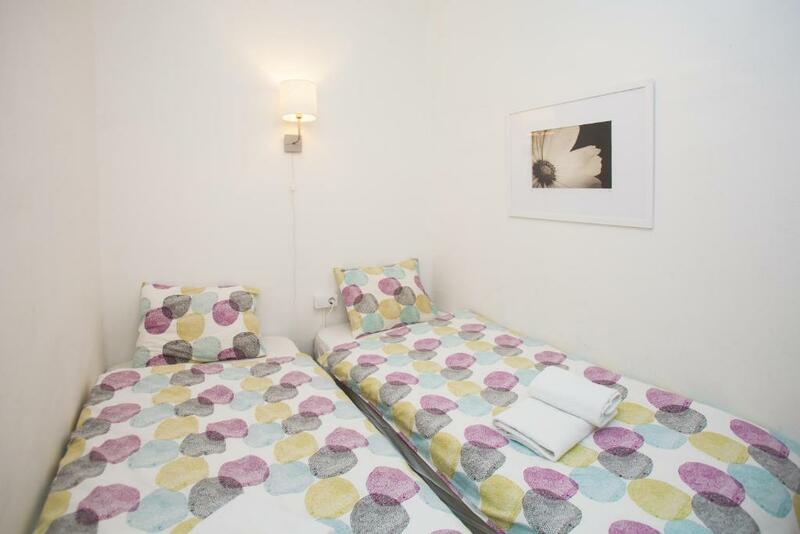 Apartments include a double bedroom, a sofa bed and either a second single bedroom or a twin bedroom. Please bear in mind that there are steps leading to the entrance to the apartments, to the elevator and to each apartment entrance. This may cause difficulty for guests traveling with strollers or wheelchairs. This stylish apartment has one double bedroom, one twin or single bedroom and a living-dining room with a double sofa bed and a flat-screen TV. It has a balcony facing an internal courtyard. The kitchen includes an oven, microwave and coffee maker. Free Wi-Fi is also provided. Please specify your bed-type preference when booking: apartments have a double bedroom, a sofa bed and either a second single bedroom or a twin bedroom. Please bear in mind that there are 2 steps up and 2 steps down leading to the elevator at the building entrance. This may cause difficulty for guests traveling with strollers and wheelchairs. House Rules Gaudi Sagrada Familia takes special requests – add in the next step! Gaudi Sagrada Familia accepts these cards and reserves the right to temporarily hold an amount prior to arrival. Please let Gaudi Sagrada Familia know your expected arrival time in advance. You can use the Special Requests box when booking or contact the property. Please note that it is not possible to check in after 02:00. Please specify your bedding preference when booking - apartments come with a double bedroom, a sofa bed and either a second single bedroom or a twin bedroom. Please note the balance of the full reservation is payable upon arrival (25% is paid at the time of booking and the remaining 75% on arrival). Please bear in mind that there are steps leading to the entrance to the apartments, to the elevator and to each apartment entrance. This may cause difficulty for guests traveling with prams/pushchairs and wheelchairs. License Numbers: HUTB-000341, HUTB-005418, HUTB-000340, HUTB-000336. Please inform Gaudi Sagrada Familia of your expected arrival time in advance. You can use the Special Requests box when booking, or contact the property directly using the contact details in your confirmation. The walls were so thin that we could hear the neighbours constantly, we could even hear the person at the other end of the phone that our neighbour was talking to. We therefore had 3 nights terrible sleep. The shower was also ridiculously small. We would definitely not recommend at all. Apartment was very scruffy and facilities were very dated. The pillows and bedding were awful and the accommodation was very small. The bathroom was so small and so was the second room you could not move it either of them. the location was just perfect. everything was perfect just enough for a small city break. 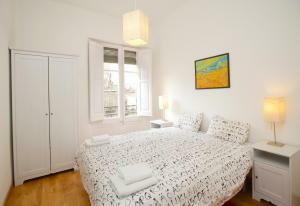 The location is excellent, with great views of Sagrada Familia. Nearby lots of restaurants, bars,markets and souvenir shops. Hosts are very good. There is an elevator in the building and the building is very secure. However the bathroom is real tiny, the shower is so small, once you enter you can not even turn. The toilet bowl is so close to the wall, that is not possible to sit on it. There is no room for legs. I mean it. No exaggeration. A person should sit on it sideways. The bed shits and towels were clean. There is refrigerator, stove, dishes. The kitchen is small, but functional. The towels were not changed for 4 days we were there. Really happy and recommend this place - only downside is the tiny shower you need to be slim!!! Host was so lovely meeting us and made us feel very comfortable and came across very trustworthy .... fantastic location and a much better choice for us to have an apartment rather than hotel! Comfy and clean beds lovely clean living room and kitchen it was perfect for what we needed thank you so much! Plus arranging a taxi for us to get back to the airport was really helpful! It was hard to talk after 10pm because the noise you can hear easily outside and bathroom door and the water presure wasn’t that good and you had to Wait the hot water after 30min if it’s finish and the small room that feels so hard when you close the door in the room it feels small walking close before they made it as a room, and it was really suffocating. It was good location and easily to find. Apartment is near all the restaurant and small market if you need to buy something and also souvenir shop is everywhere.. the best part is the balcony with Sagrada Familia view. Location location location. The metro was a few steps away so you could easily get around the city. There are also lots of restaurants out side the door. Even thought they are tourist places due to location they still served good food. The bathroom was very small and the second bedroom which is meant for two is a joke..We moved one bed out into the living area so our sons did not have to climb over each other to get into bed. Levels of street noise. No sink plugs. Small bathroom. The beds on the other room were a little awkward. The apartment was really old furnished and the furnishes were not very clean and some of them about to brake. You could barely get inside the bathroom. One of the two room was really really small. 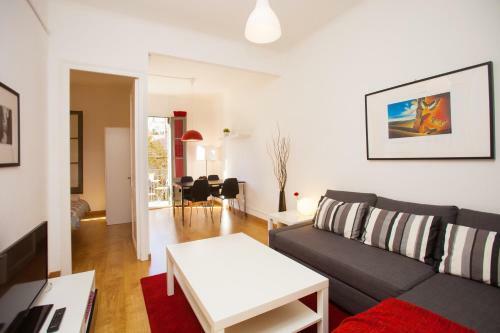 Perfekt location, 1 minute from Sagrada Familia. The guy that brought us the keys was really nice and kind. Super markets, cafeterias and restaurants all around you.